It’s pumpkin season! Carving pumpkins is great, but with young kids it’s hard to make that happen. 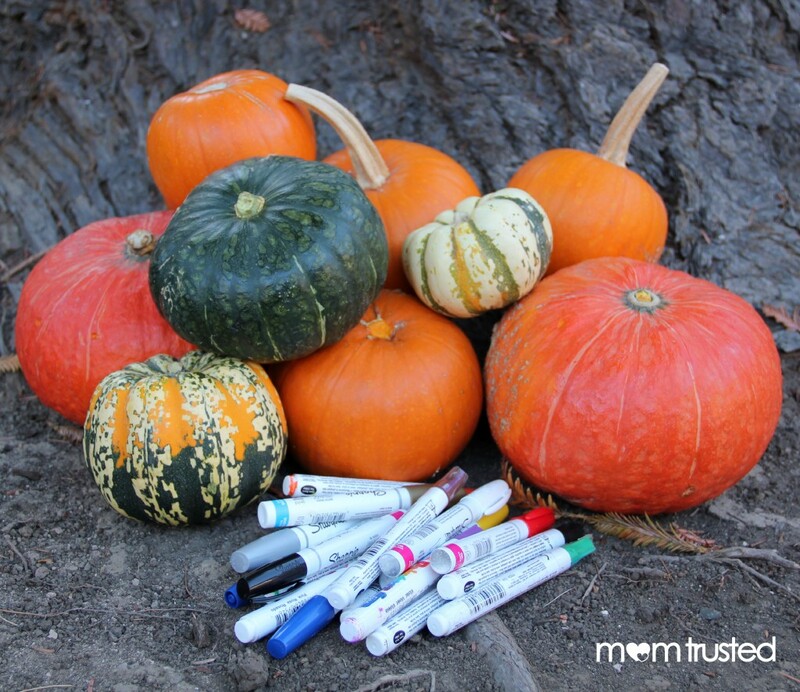 At our house, we like to use paint pens to decorate our pumpkins in various ways. It is so much faster and less messy. 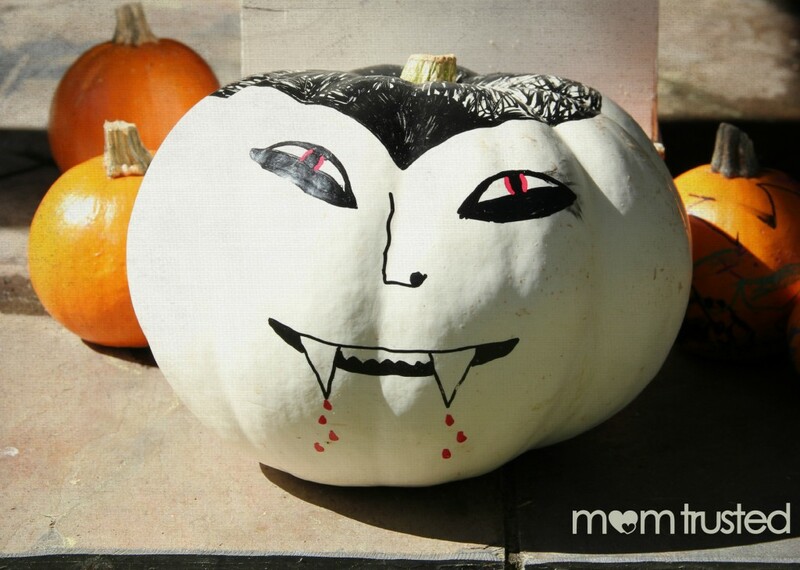 Plus, kids can decorate their own pumpkins no matter how old they are. We did a few early this year to get the ideas flowing. 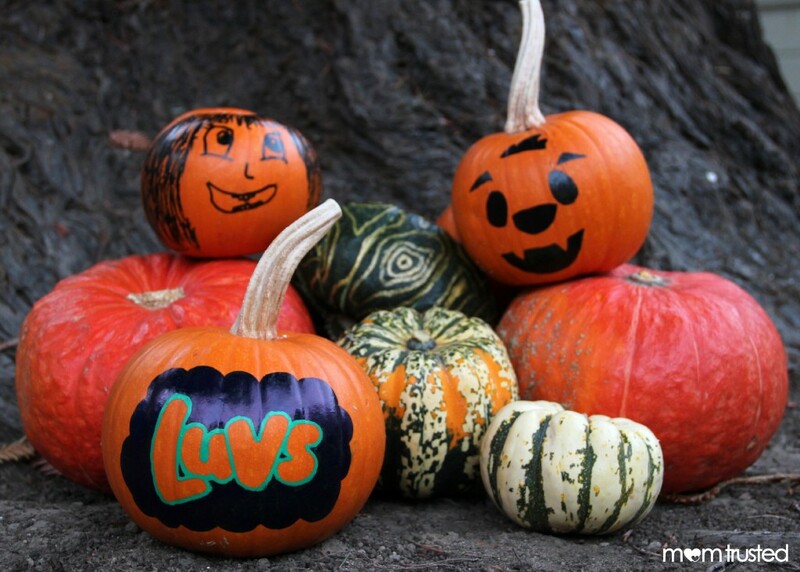 All you need is some pumpkins, some paint pens, and some ideas to get started. We used a combination of Sharpie paint pens and Elmers paint pens. The great thing about paint pens is your kids can decorate their own pumpkins and you don’t have to worry about them cutting themselves. They get to really contribute and create their own spooky works of art! 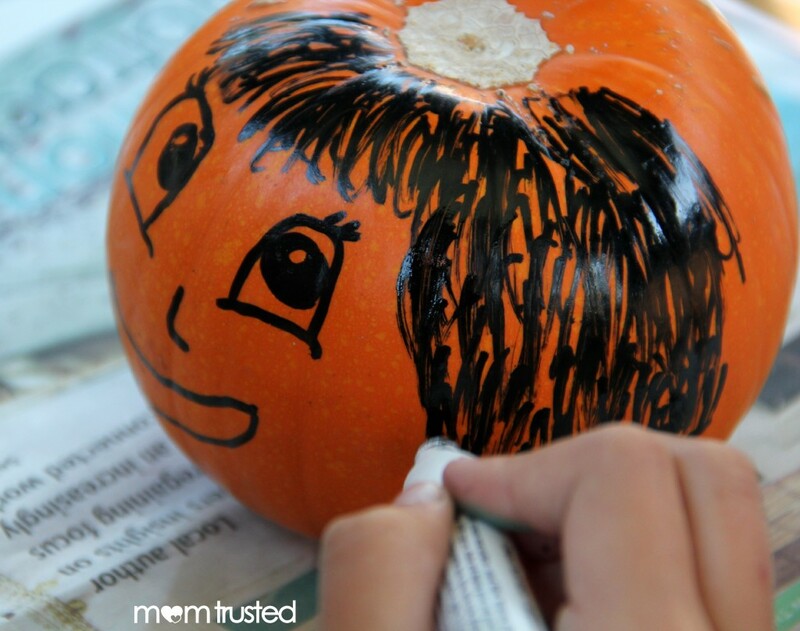 Tip: If you have two different colors that will be touching like the Luvs pumpkin below, do one color first then let it dry completely before starting the next color. Since these pens use paint instead of marker ink the colors will run together if you don’t give enough time in between. Get creative! See a few other things we tried below. 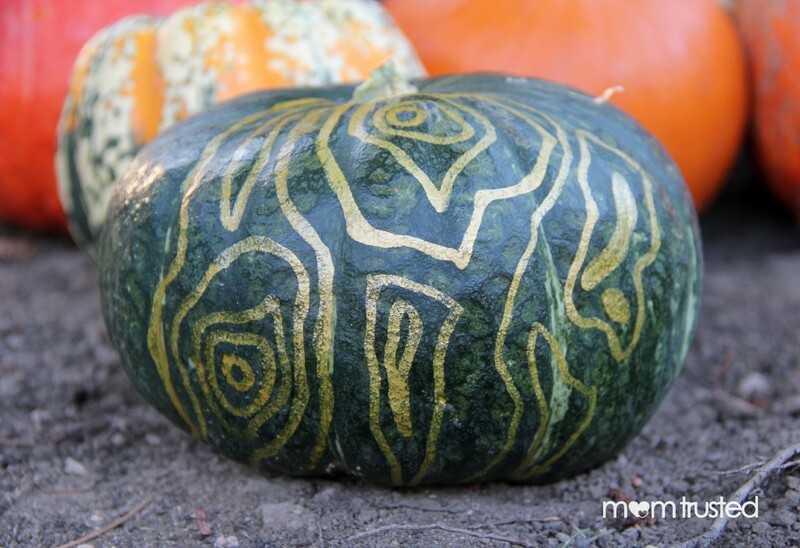 Funky Woodgrain Pumpkin – to make this design we used a green pumpkin and a metallic gold paint pen. 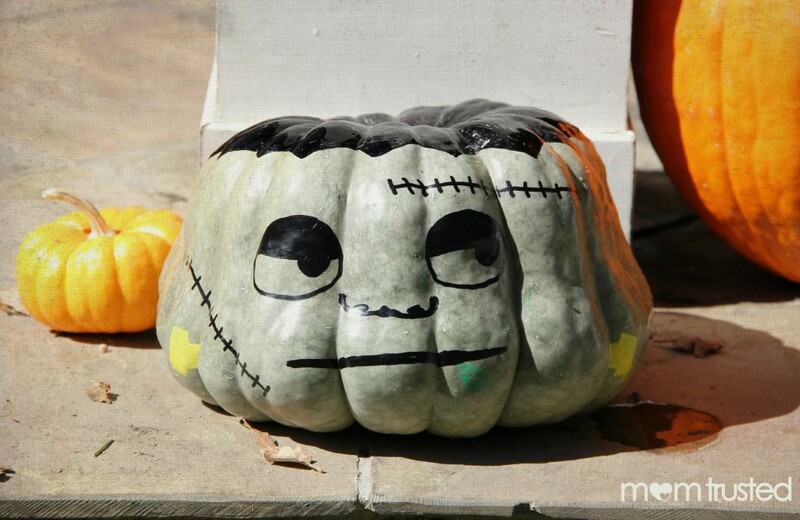 Frankenstein Pumpkin - depending on the shape of your pumpkin…you can create some pretty funny characters. Vampire Pumpkin - or use the a unique color pumpkin to drive the design. This pumpkin was so white we thought we might do a ghost pumpkin or vampire pumpkin. What other ideas do you have? 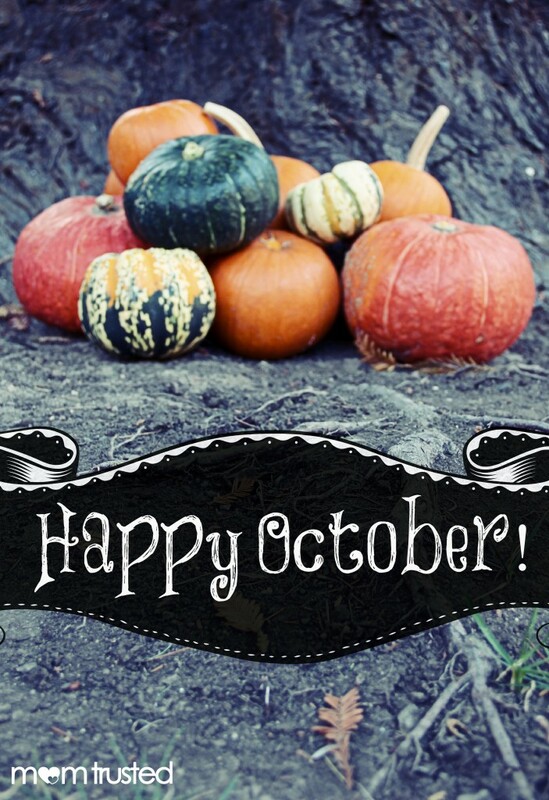 We’re so excited about October and Halloween!